Many geological materials have porous structure and are saturated with fluids (water, brine, hydrocarbons, etc.) Some of them, such as coals and shales, have pores with the sizes in the nanometer range. When fluids are confined to nanopores, many of the fluids’ physical properties are altered. In this talk I will show that one of such properties is compressibility. The compressibility determines a material’s response to mechanical loads and elastic wave propagation. Wave propagation in fluid-saturated porous media plays a pivotal role in exploration geophysics and laboratory characterization of rock samples. While these fields operate with macroscopic concepts, the description of the nanoconfinement effects demands molecular-scale theories. I will show two different approaches for calculation of compressibility of a fluid in a nanopore; both based on Monte Carlo molecular simulations. The first, thermodynamic, approach assumes that the properties of a fluid in the pore are uniform, but different from the properties of the bulk fluid. Another approach is based on the statistical mechanics, and relates the compressibility to the fluctuations of number of molecules in the pore. I will illustrate both methods with calculations of compressibility of simple fluids: argon  and nitrogen  in model silica nanopores of different sizes. The results of the calculations based on both approaches show that the compressibility of nitrogen and argon in the pores is noticeably lower than in bulk. Our theoretical predictions agreed well with the compressibilities of these fluids confined in Vycor glass measured in ultrasonic experiments. These results suggest that the models for wave propagation in nanoporous media should be revisited . 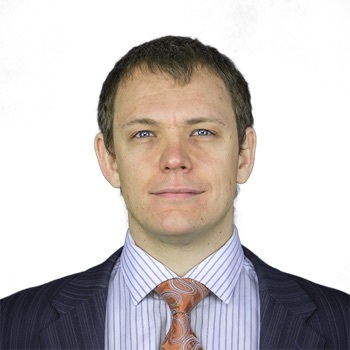 Gennady Gor received Ph.D. in theoretical physics from St. Petersburg State University, Russia in 2009. He continued his postdoctoral research in the United States, at Rutgers University, Princeton University and Naval Research Laboratory. In 2016 he joined Chemical and Materials Engineering department at NJIT as an assistant professor. Dr. Gor’s Computational Laboratory for Porous Materials employs a set of modeling techniques, such as Monte Carlo and molecular dynamics simulations, density functional theory and finite element methods, to study materials ranging from nanoporous adsorbents to macroporous polymers and geological porous media.